Since launching our glassware range and chatting to our customers it has been a popular stylish wedding present for contemporary couples. And now with the new Floral Glass Flutes I have discovered brides are often buying them as gifts for their bridesmaids or to serve fizz at hen parties. 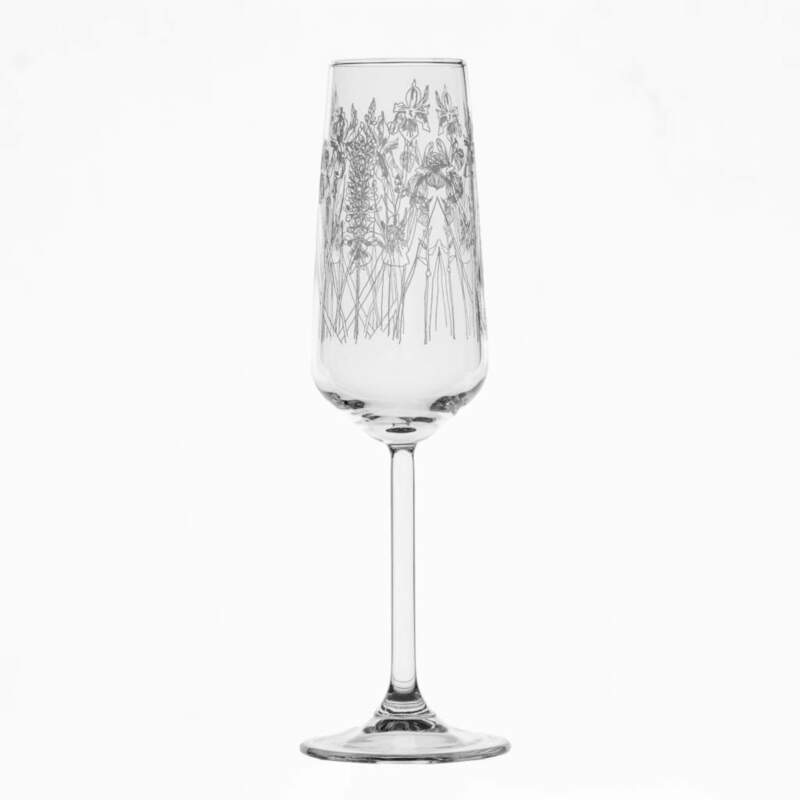 When I designed the range I wanted to offer something different and original, so it gives me great pleasure to now be able to offer these gorgeous flutes to hire, for your arrival drinks or toasts. £5 per glass broken or missing. We are starting with the flutes but if you are interested in renting our matching floral wine glasses, tumblers, hi balls and carafes please give us a call and we can make sure we have enough stock in time for your big day! If you are venue or event company and would like to purchase the glasses please check out our trade page or get in touch for wholesale pricing.